This map of Northwest Alaska shows the Bering Strait separating Alaska’s Seward Peninsula and Russia’s Chukotka Peninsula, a distance of 55 miles at their closest point. 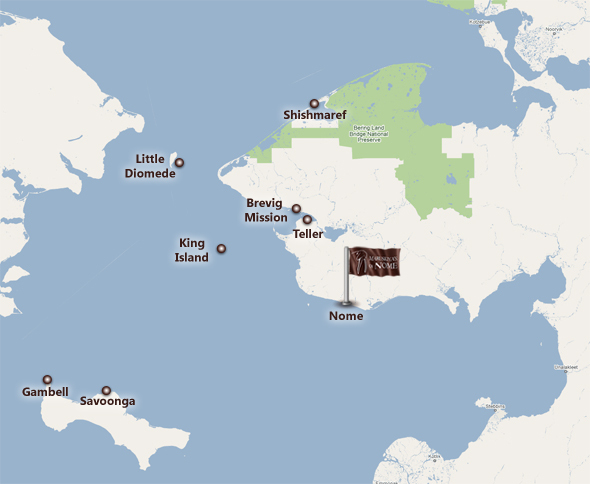 The map encompasses Nome and the seven primary villages that most artists we work with call home. Select a location on the map to read a short passage about that location. Enjoy!